Spirit Guides, Angels, ETs... Multidimensional Beings! All beings are multi-dimensional including humans. Our problem is that we have forgotten our multi-dimensional nature and have been disconnected from much of ourselves. The variety of beings out there which you will become aware of through awakening your third eye and spiritual transformation is truly amazing. From nature spirits to angels to Extraterrestrials to huge beings maintaining the dimensions to the tiny beings in particles, there are beings everywhere. An explanation of the infinite variety of beings in existence is beyond the scope of any book as it is truly infinite. By awakening your spiritual senses you will inevitably become aware of many different beings and you will be able to communicate directly with them. The communication used is telepathic although sometimes you may actually hear words. Generally telepathy involves the transmission of feelings which the receiver can then put into words much like a translation. There will always be information lost in translation just like when trying to explain to someone an experience you have had. Can they ever really know how you felt by your description alone? Can you know the taste of a piece of fruit by a description? You may get some idea but you can never know until you taste it. Indeed even with friends, loved ones and others here on earth telepathic communication could rid the world of so many misunderstandings. When communicating with beings in other dimensions it is sometimes a good idea to save the translation for later. While communicating simply use the means available and wait until the end to try to put things into words. Telepathy and inter-dimensional communication is based on feelings. The reason most cannot communicate in this way is that they are not in touch with their feelings. There are some beings that are working with humans here on earth who are helping with our spiritual transformation. There are other multidimensional beings that can and do interact with us such as Animals, but these are the main ones that you will be in contact with and who will be helping with your spiritual awakening. For this reason I will give a brief description of these beings. Guides are usually other beings who have incarnated as humans before. They are just like us accept they are not incarnated while they are your guide. They may or may not incarnate again on earth but generally they have incarnated at least once before. They are fit to help guide you because they know what it is like to be here and they are not currently incarnated. They are essentially residing in their light body in higher dimensions and so they have a much broader view of reality. They are not distorted by the astral body so they can communicate with many levels, beings and dimensions clearly and with ease. They have agreed to help guide you from the other side for this life. They are in contact with your own higher self and they know your purpose for incarnating on earth. They know a lot about you and your future and will help in whatever way they can for your highest good. However they cannot help you if you do not want them to or if what you ask is against your higher self's purpose. All beings in higher dimensions respect your free will and it is a rule that they may not impinge upon it. If you ask them to help you they will certainly do all they can (as long as what you ask for is within your highest good). Angels are from higher dimensions and do not incarnate into matter. They are like creator's messengers and healers. They will always come when asked and help to heal you and send you love. As they come from higher dimensions of love and light they are unable to really feel and understand what it is to be human. They can send us love and healing and help to guide us through certain periods of life. They are essential when it comes to spiritual work as they send vital light and love to help heal our energy bodies, activate the Light body and repair its structures. Without their help spiritual transformation would be extremely slow if possible at all. There are different types of angels with specific tasks. For example a certain group of angels play a huge role in pregnancy and birth. If you tune into a pregnant woman with your third eye you will see and feel a huge amount of gold light around her which is the light of these angels. Incarnation into matter is a very hard process for the incoming spirit and these angels are vital for the process. In the last 20 years a huge number of angels and other beings have begun to help with our spiritual awakening and transformation. Prior to this it was far more difficult to make real progress as the energies needed to transform and activate our energy bodies were not here for us. 20 years ago it was extremely hard for an experienced meditator to have a past life experience. They would have to meditate away from the city for days and have the help of a connector before an experience could occur. Now with the help of so many angels and other beings it has become very easy for even a total beginner to have a past life experience first go. Through your practices you will quickly become aware of the presence of angels around you and you will be able to connect with them and communicate at any time. Extra Terrestrials are any beings incarnated in the 1st to the 9th dimension that come from a planet other than Earth. There is an amazing variety of life in this universe and the number of life forms is nothing short of miraculous. There are civilizations and cultures living on and within many planets all over the universe. They come in all shapes and sizes such as insect like giants, dolphins or other humanoid beings. In all of the 9 material dimensions there is a birth and death experience as a being incarnates into the life form and eventually leaves. 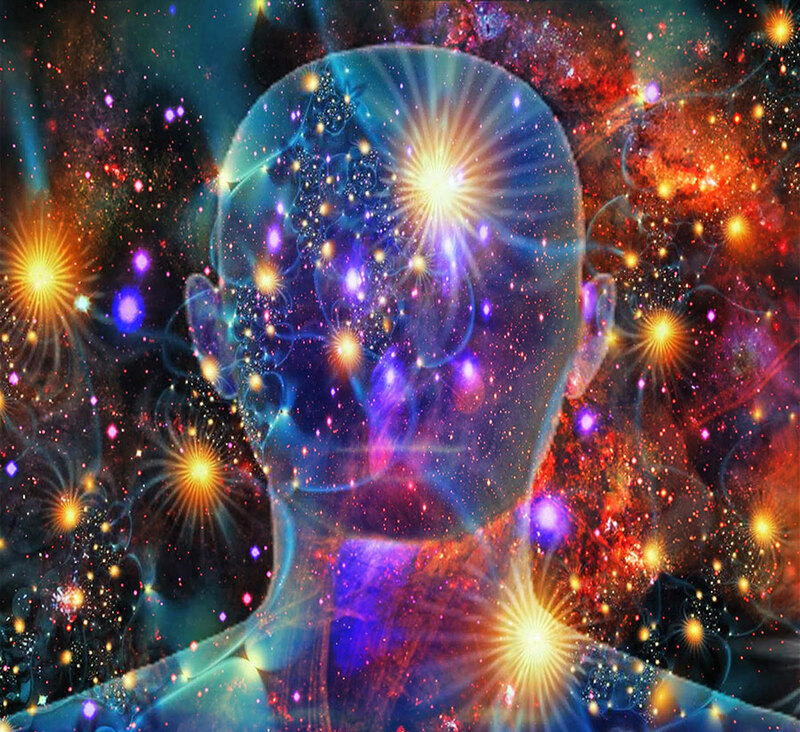 In higher dimensions it is not uncommon for beings to live for thousands of years or even hundreds of thousands. On these planets and in the dimensions inhabited by such long lived beings you would find places of amazing harmony and spiritual knowledge. To us these worlds would seem like heaven and in a sense they are. In fact compared to our lives on earth almost the entire universe is heaven from a dualistic point of view. It is quite possible for humans to incarnate on other planets in between lives on earth. It is also possible for ETs to incarnate here for a life and this has occurred many times throughout history. However there is a group of beings who make up the human race and these are the ones who make up the vast majority of people here. Some people who have recently incarnated on other planets may have strange memories of such a place and know very well that it was another planet. They may be able to telepathically connect with beings from the other planet or may be visited in dreams by these beings. It is not just the angels and guides that are helping us but also many ETs from many different planets and dimensions. The connections formed through a few of us having lives on other planets were to help ground some of the forces from various planets and dimensions onto earth. There are many ETs around earth at the moment in various spaceships and the like. Many are in higher dimensions and so cannot be seen but there are also ships that can become third dimensional. These ETs are mostly here to help us to shift into the 4th dimension and to see what has been happening here. We have been involved in something never tried before and the results will affect the entire universe. So we have aliens all around us and many of you will have connections with certain groups. These groups are here to help us and use what they know about healing to help heal our subtle bodies. During meditation and sleep you may be visited by various ETs, they will help heal you and speed up your spiritual transformation. Animals are far more than meets the eyes. Most come from other areas of the universe and in a certain respect they are Extra Terrestrials incarnated on earth. The bodies they inhabit on their home planet may be completely different to their bodies here or may be very similar. As humans are involved in a reincarnation cycle on earth, each group of beings throughout the universe has their own reincarnation cycle. The beings of each cycle have a similar consciousness and have similar personalities. They are expressing a part of the creator simply by being themselves. All life is evolving to a certain extent and so as each group continues its incarnations it gradually changes and becomes more of itself. Individuals can incarnate into different cycles for a life and return to their cycle or even leave their cycle and join another one if they desire to do so but generally groups tend to stay together. The reason for this is that the individuals in a group all have a connection to the same being of higher consciousness. For example all humans have higher-selves which have higher-selves which have higher-selves which eventually meet up with each other. We are in fact the expression of a huge being that incarnates through all of us. The same goes for other civilizations and groups of beings. The interesting thing about earth is that the Human race has been doing something very unique which has never been done before. Due to this it was necessary to have connections to all areas of the universe and to all types of consciousness. So the animals are beings from all over the universe incarnating into life forms here. You can tune into any animal including insects, birds, mammals, fish, etc and you can follow the consciousness of the animal to wherever they come from. Of course awakening your third eye will make this much more vivid but anyone can look at an animal and get a feel of its consciousness. It is important here to understand that the animal's spirit or higher-self comes through its light body which like ours does not shine through with perfect clarity. Like us, animals have an astral body which incarnates through the etheric and physical bodies. The light body only has a tiny part actually incarnated in the physical and this part is obstructed by the astral body. To see the being behind the animal (the higher-self and the connections to higher consciousness) you must follow its column above its head. Animals are in fact in greater contact with their higher-selves than humans so they know where they come from. While asleep they dream of their home planet and maintain a conscious connection even while awake. The connections held by animals on earth have been essential for the work we have been doing. They are like grounding rods for high spiritual forces of light and consciousness. Animals may seem to be less evolved than humans but if you were to see them on their home planets and in their multidimensional bodies you may realize that they are in fact very advanced. They have incarnated here into bodies that are very restricted and very much controlled by the instincts of the lower-self as we reside in the 3rd dimension where matter is extremely dense. Remember that it is only a small part of them that resides within the body and as the instincts take control of their body in most situations many conclude that they are of lower consciousness than us intelligent humans. This is an illusion which was important for our purposes on earth. Tuning into animals is probably the easiest way to awaken your spiritual senses and begin to feel the various higher forces that are a part of our world. All animals resonate with vast beings of higher consciousness and are but a part of these beings incarnating into the third dimension. They have come here to help us with our purposes and are all beings of infinite love and light.